We all have different ideas about what is a fair tax policy and a fair distribution of wealth. Below are some pictures and graphs which show that conventional wisdom may not give us a clear picture of the facts – and that we may need to reconsider what is actually fair. State Taxes: Last year, Oklahoma cut state taxes and is considering another tax cut. 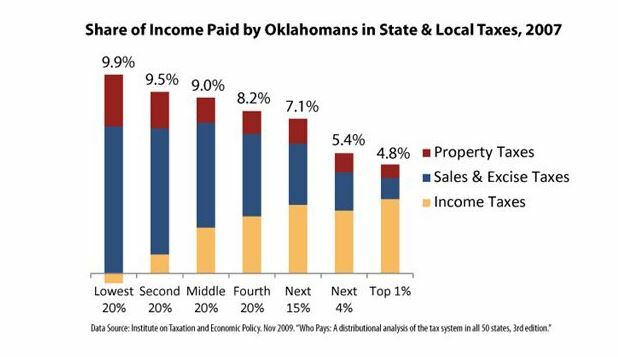 The graph below is the data for Oklahoma from the Institute on Taxation and Economic Policy . It shows that those in the lowest income group pay the highest percentage of their income in taxes. The 2012 Oklahoma tax cuts skewed the distribution even more, as 75% of the tax cuts went to the top 20% in income. You may look up the data for your state at the link above. The tax cuts in Oklahoma, and perhaps in your state, were justified by using Laffer’s economic theory, though the theory apparently fails in practice. Distribution of Wealth: The graph below compares what people consider the ideal distribution of wealth, with how they think wealth is distributed. Both are very different from the actual distribution of wealth. 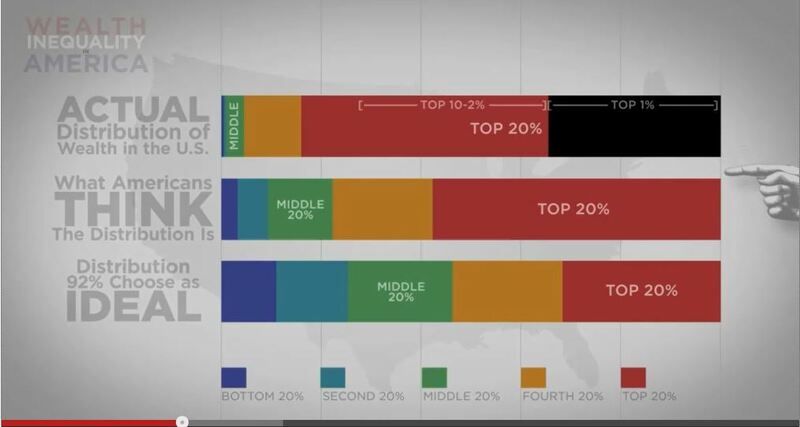 Taxation and spending policies have greatly contributed to this distribution of wealth. National Debt: Taxation and spending policies greatly affect our national debt. 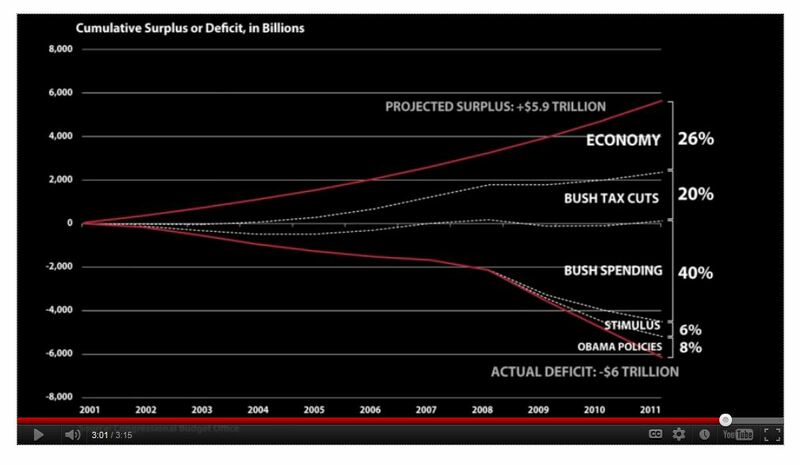 The graph below, from the CBO, shows how the surplus projected in 2001, the top red line, was decreased by the weakening economy, tax cuts, and spending decisions. The stimulus accounted for 6% of the decrease and Obama’s policies for 8%. 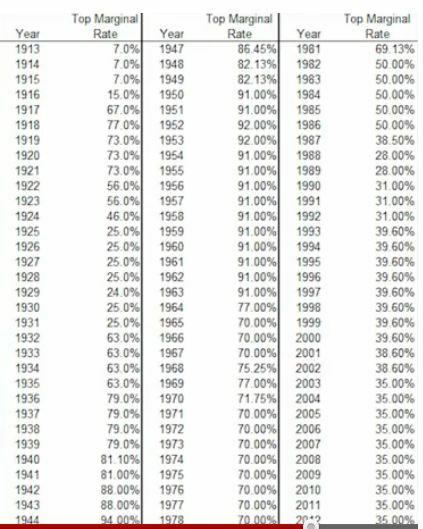 Tax Rates: This chart gives some historical perspective on the top marginal tax rates. Those in the top income bracket have been enjoying the lowest tax rates since World War II. 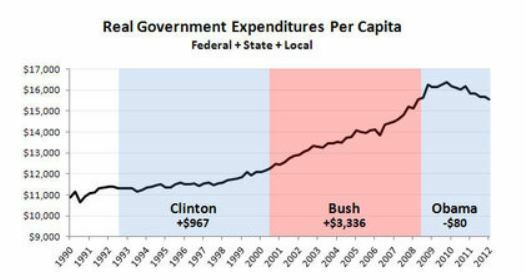 Spending: The conventional wisdom is that our current deficit is because of increasing government spending. That is not borne out by the data. 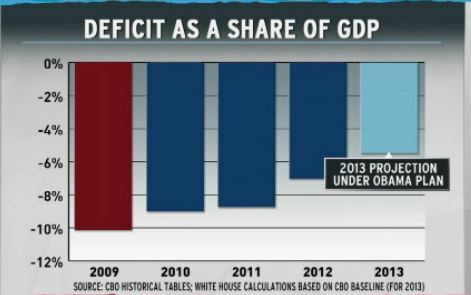 The Deficit: Though there have been many claims about our growing deficit, the deficit has actually been shrinking as a share of the GDP. Ancient Wisdom: Aristotle thought that nature, and even politics, could best be understood by observations and reason. In the fifth century BC, Aristotle compared the democracy in Athens with other forms of government and warned against a major flaw in democracy. 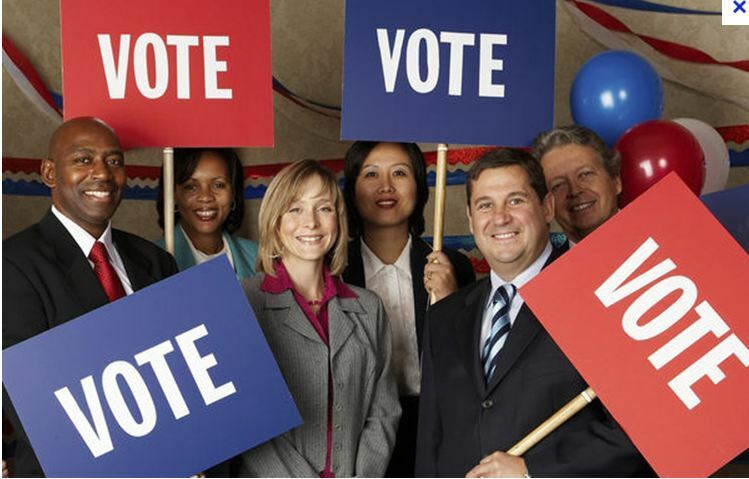 If the poor gain too much power, they will vote too many benefits for themselves and will deplete the treasury. If the rich gain too much power, they will use that power to further enrich themselves, leaving too many of the citizen’s poor. Aristotle thought democracy was only a viable form of government if there was a strong middle class. This entry was posted on Saturday, March 9th, 2013 at 8:26 pm	and is filed under National Politics, Oklahoma Politics. You can follow any responses to this entry through the RSS 2.0 feed. You can leave a response, or trackback from your own site.